From Chile to Argentina with love. It’s not uncommon to see producers from other countries head to Argentina to create a second label or side project. There’s lots to like about the South American nation as a startup hub, from truly unique altitude-induced terroir to surprising access to old-vine plantings to ultra-low input costs. What is unusual is for the immigrating winery to come from right next door: Argentina’s skinny western neighbour Chile offers many of the same producer advantages and is often similarly sought after by wineries off the continent for new ventures, but you rarely see a producer from one of these countries set foot in the other to make wine. That’s what makes these bottles interesting. The Montes family is one of Chile’s pioneering wine clans, and its Vina Montes may be the country’s best known winery, churning out everything from weeknight wine champions to top-end stunners like Montes Folly, an unprecedented Syrah from Apalta that’s one of my favourite wines of all time. Patriarch Aurelio Montes Sr. visited Argentina in 2001 and was immediately intrigued by the Andes-hugging Mendoza region; he wasted no time in deciding to expand operations there, starting up the Kaiken label in 2002. 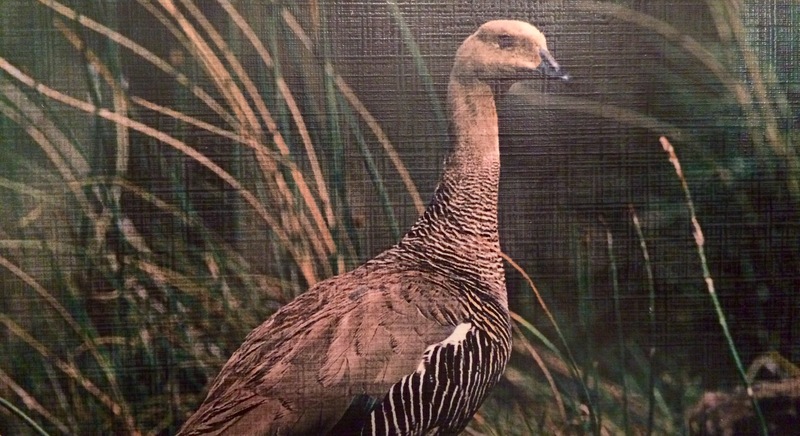 The word “Kaiken” is an anglicized version of “Caiquen”, a type of wild goose that regularly travels over the Andes Mountains from Chile to Argentina, just like Montes himself. 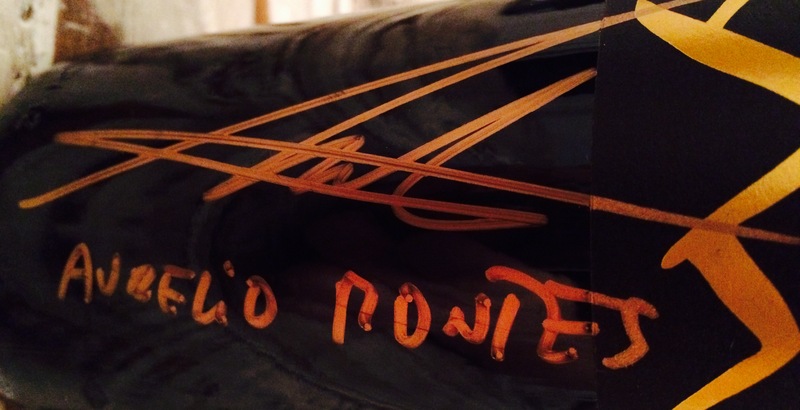 Once the winery was up and running, he made the call to keep the winemaking in the family, recently naming his son Aurelio Montes Jr. as winemaker. 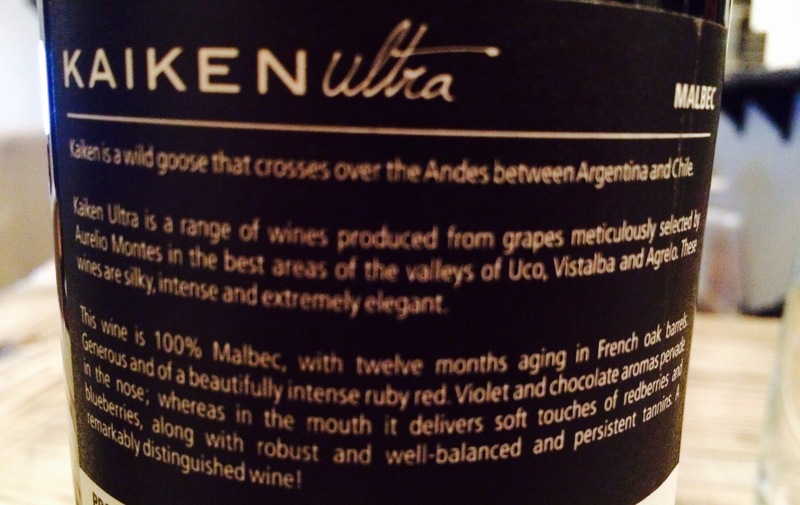 Kaiken owns three vineyards in Mendoza, two in and around the Lujan de Cuyo region near the town of Mendoza itself and one in the Uco Valley further south; one of the vineyards is fully biodynamic, a set of principles Kaiken is working to embrace. A Caiquen, if you’re wondering. 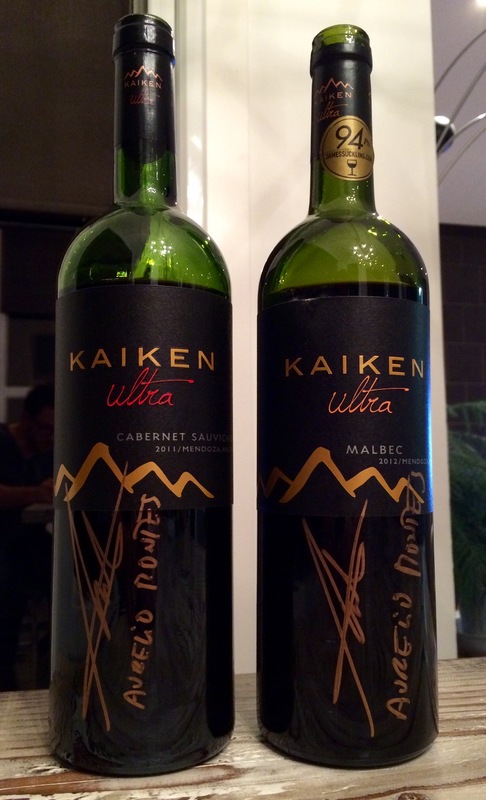 I was given the opportunity to try two wines from Kaiken’s mid-range Ultra lineup, the classic Argentine red duet of Cabernet Sauvignon and Malbec. They quickly showed they weren’t just a flight of imported fancy. The exact composition of this Cab differs depending on where you look, but it appears to be 90-96% Cabernet Sauvignon and 4-10% Malbec, the bulk of which was aged for 12 months in French oak, after which it got 6 months’ further rest in bottle before release. The Cab comes mostly from 80+ year old vines (see above re: why Argentina is so popular for external producers), a rarity for a wine falling beneath the $25 mark. It was immediately noticeable in the glass thanks to its thick, blackened blood-red colour, focused and deep, pulling the light from the room. The traditional hallmarks of Cabernet were there on the nose if you looked for them, dark currant-y fruit, eucalyptus and oak, but they were enveloped by a pervasive smokiness, aromas of struck matches, charcoal and pepper swirling around the bright blackberry and vanilla. The fruit emerges more with time in the glass but never has the stage alone. It’s not always the case that the density of colour of a wine translates to the palate, but it certainly does here, as the flavours feel densely packed, coiled, ready to explode but constantly held in check by rugged Velcro tannin and subtly lively acidity. Deep blueberry and currant fruit take on a more central role once the wine is on your tongue but are rendered simultaneously more savoury by tomato and leather notes and more hedonistic by a pervasive flavour of chocolate-covered coffee beans that runs throughout. This Cab is powerful and chewy but never seems jammy or overwrought; an impressive balancing act for a value wine. 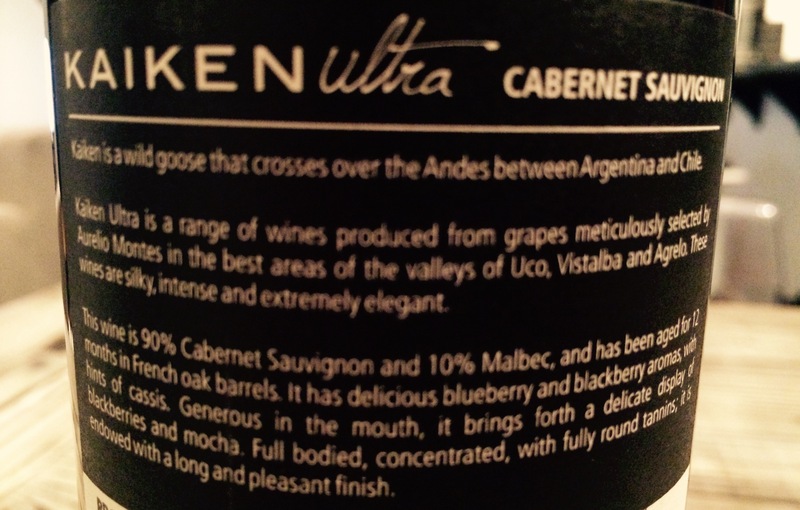 Every time I’ve done a head-to-head pitting a Cab against a Malbec recently, the Cab has won out. Not this time. I find many bargain-priced Malbecs to be a bit hollow and unfulfilling, but this one had the stuff to stay consistent and satisfying throughout and emerged as a clear contrast to the rougher-around-the-edges Cab from the very first impression I had of it. While equally as dark and opaque as the Cab in colour, the Malbec Ultra took on a far more purple hue which clung stubbornly to the glass. The nose was far more confectionary without sacrificing depth and without seeming remotely artificial: blueberry jam and Saskatoon berry, graham crackers, pen ink, angel food cake and that tangy sourness that you get on the edges of Wine Gums. The most interesting and immediate difference between these two Ultra wines was with the structure of the tannins, which were still prominently front and centre with the Malbec but were far silkier and more rounded, giving the whole wine a more refined, almost aristocratic feel. This structural change also contributed to a satiny, pillowy texture that lent elegance to the grape and blueberry flavours, enhanced and reined in by pomegranate, chalk and ginger. The surprising structure of the Malbec raised up again on the lengthy finish, a clear hallmark of quality. The current Argentine Malbec craze has led to a lot of corner-cutting and name-coasting in this neck of the wine woods, but not here. This is impressive through and through, and rightly Kaiken Ultra’s star red.